Wrexham chief executive Don Bircham has belittled Conference rivals Forest Green after they signed Danny Wright from the Racecourse club. Wright, Wrexham's top scorer this season, rejected an offer of a new contract to join Forest Green, who are bankrolled by millionaire Dale Vince. "Forest Green are a village team with a lad with a few bob," said Bircham. "They don't have the pedigree of Wrexham Football Club but they have a benefactor with big, deep pockets." Vince - a green energy tycoon - became chairman of Forest Green in 2010 and is credited with turning the club around both on and off the pitch. Rovers finished this season in 10th place, 15 points behind fifth-placed and fan-owned Wrexham, who lost in the play-off final to Newport County. Forest Green's average home crowd was just over 1,000, while Wrexham's was just over 3,500. Bircham says Wright turned down a "very attractive package" to stay with Wrexham, dismissing the striker's claim that he was offered a lesser contract than his previous deal. "He was offered a contract at the same level as our most experienced and valued players," Bircham told BBC Radio Wales' football programme. "If we had offered a contract that was less, it would have been a waste of time. We wouldn't have dreamt of that." He added: "I respect the fact that Danny is a professional footballer and if somebody comes to the lad and offers to increase his wages by 50% that's entirely understandable. "He'll be playing in front of 2,500 people for a club that lacks the history, heritage and atmosphere of Wrexham Football Club, but we all have to make decisions in life." 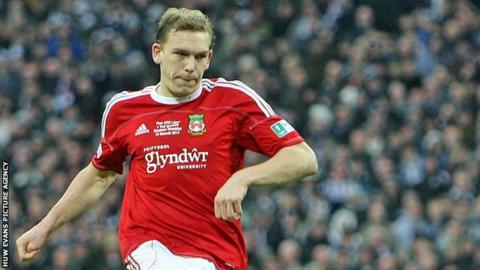 Wrexham have offered new contracts to a number of key players and Bircham is confident others will not follow Wright's example. He said: "The spine of the club is already in place. We were proactive with those. We made some decisions around Christmas to get a number of people signed up, [midfielder] Jay Harris being one who is vital to our success next season. "In saying that, we will lose a couple and we will pick up a couple, that's the nature of the game."